Nigel can finish off the 3-point play at the line for the #Badgers after the timeout. Gophers haven't scored in 2:49. Vitto Brown on the floor with four fouls. Gophers are too often looking to the officials and begging for fouls. Bronson Koenig with 3-pointers on consecutive possessions to push the lead to 61-47 with 2:20 remaining. Badgers 7-9 from thee in second half. Koenig with four of them. Koenig is now unconscious. Five threes in the half. Bronson Koenig has caught fire in the second half, Another 3-pointer to give him five for the game, Has team-high 15 points. Dekker-ish height on that Koenig 3-pointer. Gard pulls seniors to ovation with <30 secs left. 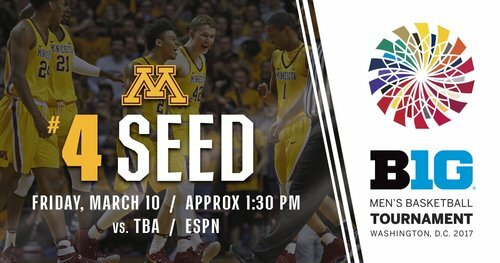 Badgers clinch second seed in B1G. Final: #Badgers 66, Minnesota 49. Bronson Koenig with all 17 of his points in the second half. UW is the No. 2 seed in the BTT. 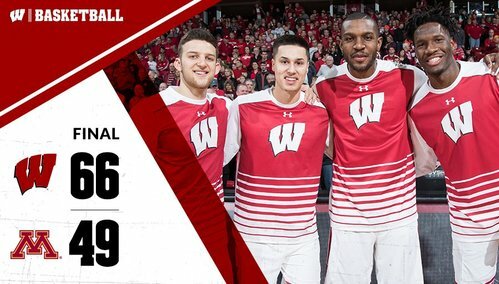 #Badgers roll to a 66-49 victory as Koenig scores all 17 points in the second half. Koenig finishes with 17 points in the second half. Wisconsin shoots 8-10 from three in second half. That may have helped. Could not have been a better script. Stop the slide. Secure 2 seed. 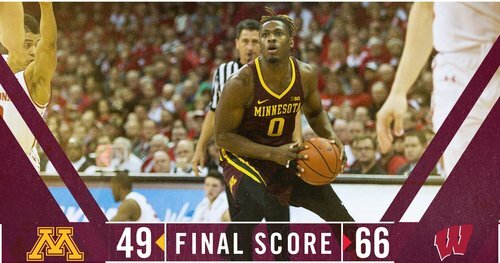 Beat Gophs, a good team; hottest in B10. Send seniors out with home win! FT shooting still a huge issue. But that was an impressive victory by the #Badgers . Minnesota coach Richard Pitino notes his team played very poorly in second half. 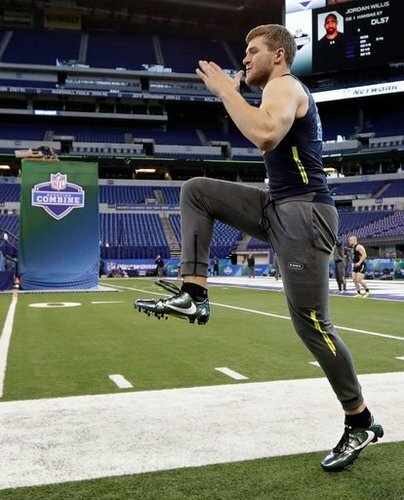 Offense had no flow. Minnesota's Pitino not happy with team's defense in the second half, especially on Koenig. Richard Pitino: The way we played tonight, it'll be a quick exit in the Big Ten tournament.